Ever since his first exposure to euro-dance pop as a twelve year-old kid, Berlin native Sascha Funke followed the siren call of electronic music, carving out his own spot at the forefront of leading-edge dance music. A seasoned hunter constantly digging for epic melodies, kicking beats or top-tier records to grace both his studio output and DJ sets, he specializes in deep, sweeping sounds - but always favored sitting on the fence when it came to the occasional shootout between genre trenches. A well-known purveyor of allusive, pop-infused minimalism, Funke successfully combines the straightforward and the uncanny, all wrapped up in lean and stylish arrangements that don’t need much tools to establish a complex atmosphere - a sort of lock 'n' load romanticism that can be readily experienced on the much-acclaimed and highly influential full-length releases „Bravo“ (2003) or „Mango“ (2008). Both went on to become electronic classics in their own right and remain a rather popular choice on international dance floors to this day. 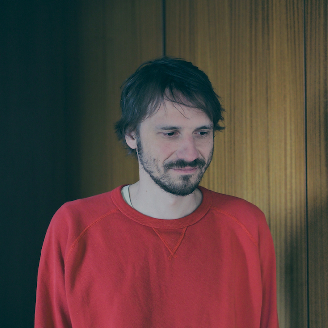 After establishing his unique musical vision on iconic underground imprints like BPitch Control or Kompakt, Funke has returned to the latter for his more recent efforts with Saschienne, a project he put forth with partner in crime Julienne Dessagne - resulting in 2012’s album „Unknown“, a master class in sparse, but highly effective techno songwriting that found its fair share of loyalists and serves as an ideal primer for Funke’s new solo output with the label. We could welcome him back, but then again, he wasn't really away. After the release the duo toured around the world and further introduced their work with a dynamic live show. When Funke was not on stage with Julienne or spending his time with her and their son, he was occupying his weekends by playing his current favourite tunes and classics in some DJ booth around the world. The only Berlin-based producer that supports 1.FC Köln then had locked himself in the studio again and produced four new tracks the label Multi Culti, which celebrate techno darkly with melodies full of New Age and Krautrock spheres, cosmic trance moments and a slower BPM power. As well he released on Tiga’s Canadian label Turbo Recordings the EP “IFA” and delivered four enchanting tracks between bewitched minimal tribal, twisted piano house, stomping psychedelic and space techno. And there is also a new solo album in the pipeline. It will be called “Lotos Land”, will see the light of the day on the Japanese label Endless Flight and presents the 40-year-old as a musician, that transcends deep felt emotions into a multidimensional ocean of sound. Those who would like to hear first impressions of his newest musical output should come to one of his DJ gigs - Sascha Funke likes to play unreleased sounds in DJ sets, which lately go beyond the average definition of techno and house and also presentdisco, wave, electro, cosmic, Krautrock and early electronic dance music. All mixed up with passion in order to kick all dancers into an unpredictable emotional journey, in which their bodies become absolutely unrestricted and bodiless.